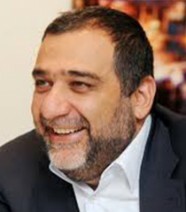 Ruben Vardanyan serves as a Founder and President at LLC Vardanyan, Broitman & Partners. Ruben is known as one of the leaders in impact investing worldwide and plays a valuable role as advisor to many leaders and as a speaker at many conferences. Ruben’s regional expertise is in the CIS and emerging markets. But he also works in many other parts of the world.